I just cracked open this set from Darkroom Door yesterday and I’m so happy with these lovely images. 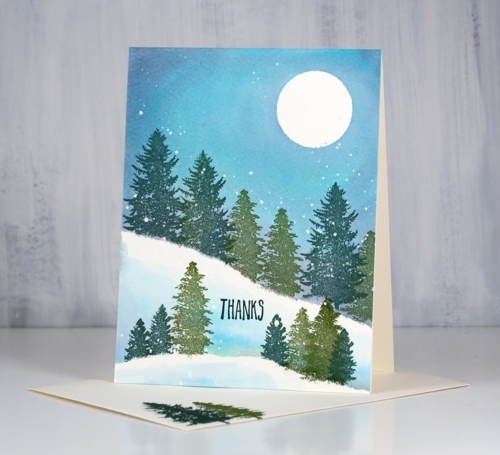 The set contains three pine cones, two pine needle stamps and six sentiments yet to be inked. I worked on cold pressed watercolour paper and used distress inks to stamp and paint. 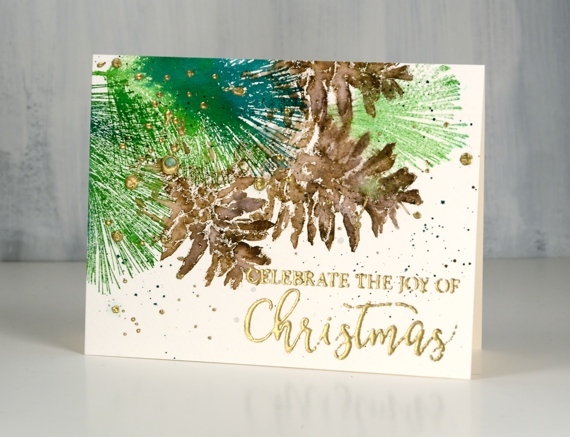 I splattered masking fluid over this panel first then, when it was dry used my MISTI for the stamping. 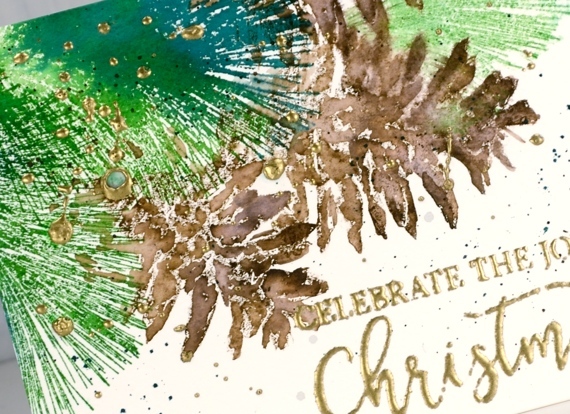 I stamped the pine cone first with vintage photo and ground espresso distress inks (not oxides). 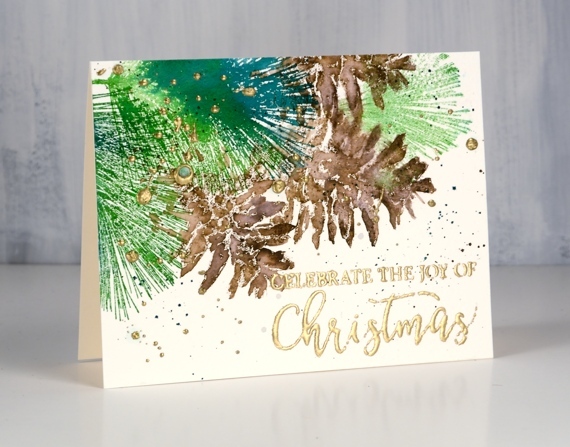 I stamped several impressions because of the texture of the paper then stamped the pine needle stamp around the pine cone in forest moss and pine needles ink. 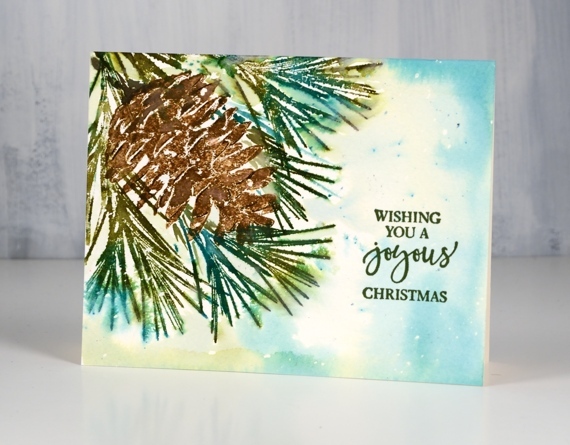 I didn’t use careful masking but did position a post it note over the pine cone while I stamped the needles that appear to be behind the cone. 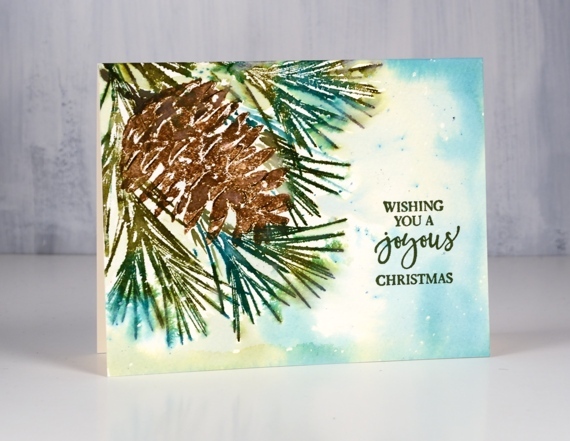 With all the stamping done I blended some of the pine cone with water and spritzed over the pine needles. To fill the background I painted shabby shutters and pine needles ink with plenty of water to dilute and move it around. 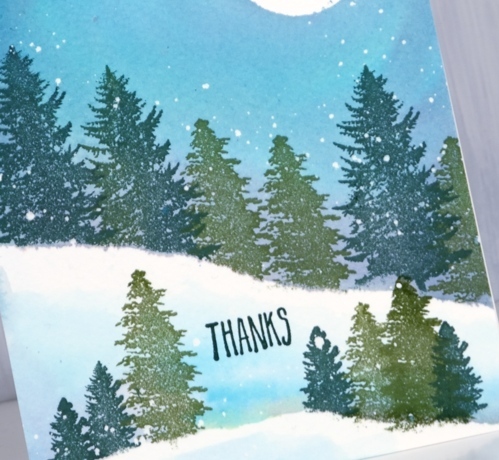 After removing the masking fluid I added a sentiment from the Yuletide greetings set in shady lane versafine ink. 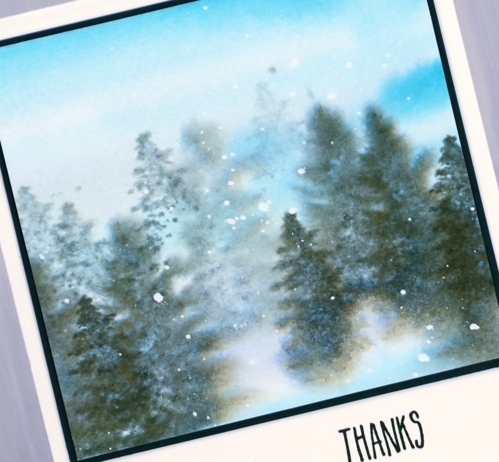 For the second card I switched pine needle stamps but kept the same pine cone. I stamped the needles first in mowed lawn and pine needles distress ink. Again I didn’t want to cut some fiddly masks so I did partial inking instead to position the pine cones in amongst the needles. I blended them with a fine tip paint brush then splattered some green and brown inks over the panel. 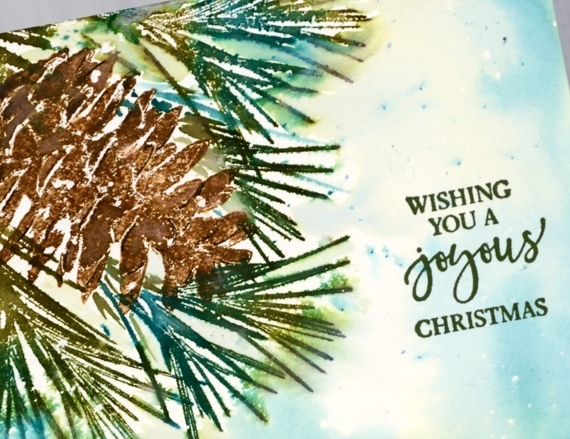 I wanted a splash of gold so I embossed a sentiment from Yuletide greetings in ultra high gold embossing powder which is chunkier than some.